At The Footy Factory, we’re committed to protecting and respecting your privacy. Any questions regarding this Policy and our privacy practices should be sent by email to the address info@thefootyfactory.com or by writing to 20 Upper Bristol Road, Weston-super-Mare BS22 8DA. Alternatively, you can telephone 07768 922571. The Footy Factory is the trading name for 5 Star (GB) Ltd, a company registered in England and Wales with the company registration number 07781827 and having our place of business at 20 Upper Bristol Road, Weston-super-Mare BS22 8DA. For example, we may obtain information about you when you purchase our products or services or contact us about our services. We do not usually collect sensitive data about you unless there is a clear and valid reason for doing so and data protection laws allow us to. Where appropriate, we will make why we are collecting this type of information and what it will be used for clear. We keep your information for no longer than is necessary for the purposes it was collected for, The length of time we retain your personal information for is determined by operational and legal considerations. For example, we are legally required to hold some types of information to fulfil our statutory and regulatory obligations (e.g. tax/accounting purposes). Where it is necessary to protect life or health or a safeguarding issue which requires us to share your information with the emergency services. We may use your contact details to provide you with information about products and services you can buy, if we think it may be of interest to you. We will only send you marketing communications by email, text and telephone if you have explicitly provided your prior consent. You may opt out of our marketing communications at any time by contacting us by email: info@thefootyfactory.com. You have a choice about whether or not you wish to receive information from us. If you do not want to receive direct marketing communications from us about our services, then you can change your marketing preferences (including to tell us that you don’t want to be contacted for marketing purposes) at any time by contacting us by email: info@thefootyfactory.com. We will not use your personal information for marketing purposes if you have indicated that you do not wish to be contacted and will retain your details on a suppression list to help ensure that we do not continue to contact you. However, we may still need to contact you for administrative purposes like the recall of a product. If you want to exercise any of the above rights, please email us at info@thefootyfactory.com or write to 5 Star (GB) Ltd, 20 Upper Bristol Road, Weston-super-Mare BS22 8DA. We may be required to ask for further information and/or evidence of identity. We will endeavour to respond fully to all requests within one month of receipt of your request, however if we are unable to do so we will contact you with reasons for the delay. It is possible to switch off cookies by setting your browser preferences. For more information on how to switch off cookies on your computer, visit our full cookies policy https://thefootyfactory.com/cookies. Turning cookies of may result in a loss of functionality when using our website. We keep this policy under regular review. This policy was last updated 1st October 2018.  The Footy Factory is the one-stop footy shop supplying football training kits and accessories, club shops and Errea products.